Picture yourself practicing Yoga with like-minded yoga lovers, the wind in your hair and the beach just a few steps away. Traveling and taking part in a Yoga retreat is a wonderful way to fill your cup and enhance wellness, explore new parts of the world, be a part of the international Yoga community and most importantly: immerse yourself in Yoga. Yoga retreats provide an outlet to truly integrate the various limbs of Yoga into your daily life and routine: did you know that poses (asanas) are only one aspect of Yoga? Read on for a few reasons why you should travel to Sri Lanka for your next Yoga holiday! Headed to Sri Lanka? click here for more Sri Lanka travel tips and destination guides! 1. Go somewhere new and exciting! 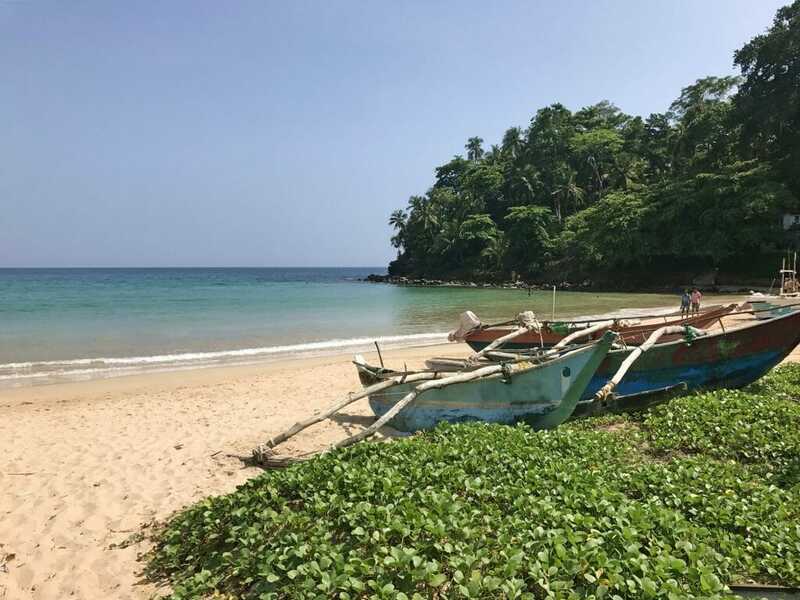 So you probably have friends who have been to yoga retreats in Bali, Thailand, Mexico or Costa Rica: but how many people can say that they’ve explored and practiced Yoga in Sri Lanka? 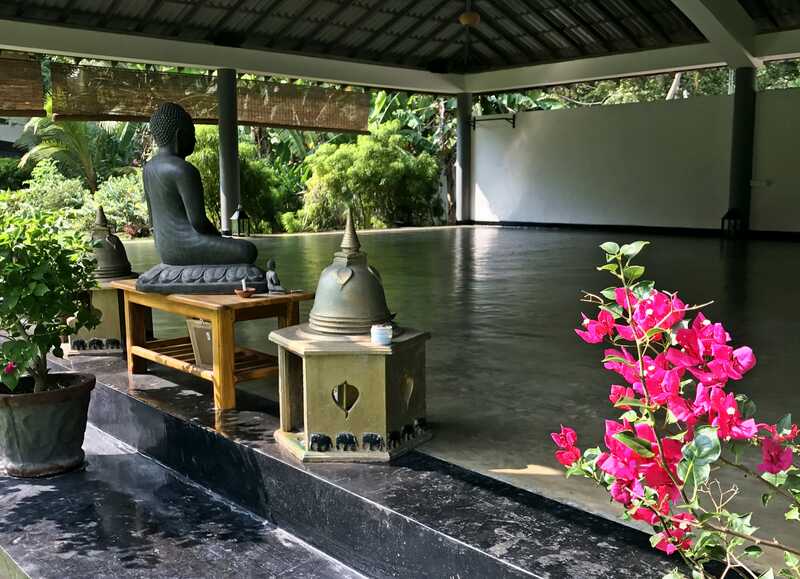 Although Yoga is certainly not new to the region (it’s just a stone’s throw away from India), more and more Yoga centers and retreats are being established in Sri Lanka which makes it a perfect Yoga destination to deepen your practice. 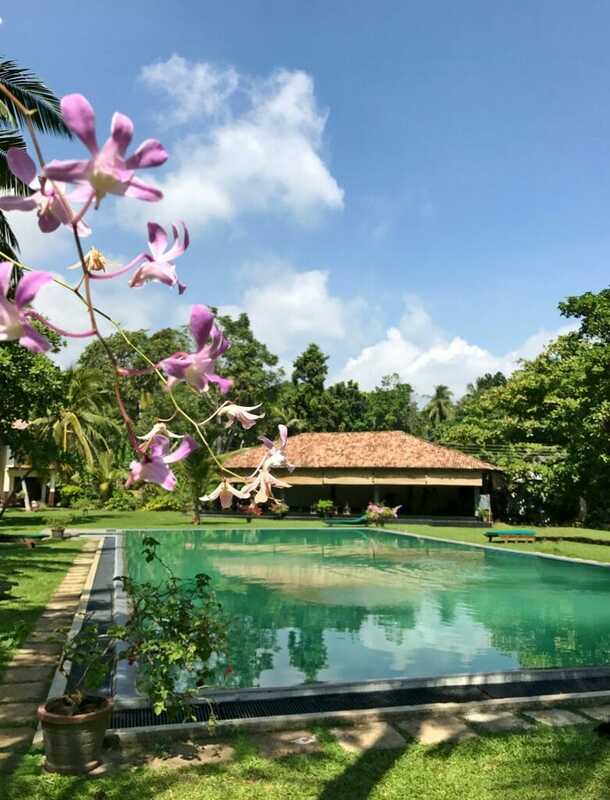 There are many places along Sri Lanka’s south coast that offer daily drop-in classes such as Talalla Retreat and Sri Yoga Shala, or you can sign up to my mailing list to find out about any of my upcoming retreats on the island! While Sri Lanka has been “up-and-coming” for a few years, this beautiful island has been thrust into the spotlight and recently made it onto tons of “Top Travel Destinations” lists – this means that it is going to become increasingly popular and more and more crowded. Since the end of the civil war in 2009, tourist arrival numbers have multiplied from 2010 to 2017! Why not beat the crowds and get a whole stretch of beach to yourself? Click here for 12 things you should know before visiting Sri Lanka! Surfing and Yoga go together like peanut butter and jelly. Yoga benefits surfers in a multitude of ways, and conversely surfing is a great sport to complement an active Yoga practice. 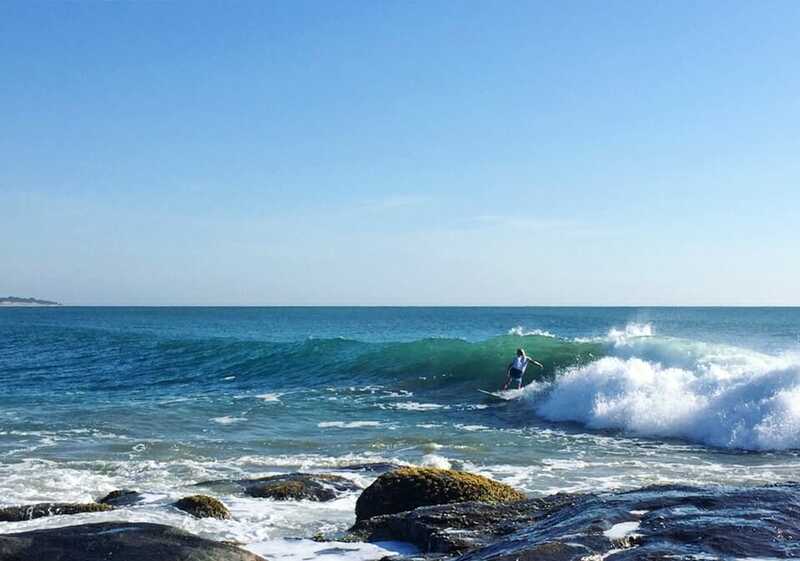 If you’ve never tried surfing before, Sri Lanka is the best place to learn: the waves are gentle, the surf is uncrowded and the water is warm! I took up surfing in early 2015 and am now working on turning on the open face of a wave – I’m telling ya, it’s an exhilarating experience! There’s nothing better than practicing with a cool ocean breeze and being surrounded by Mother Nature. 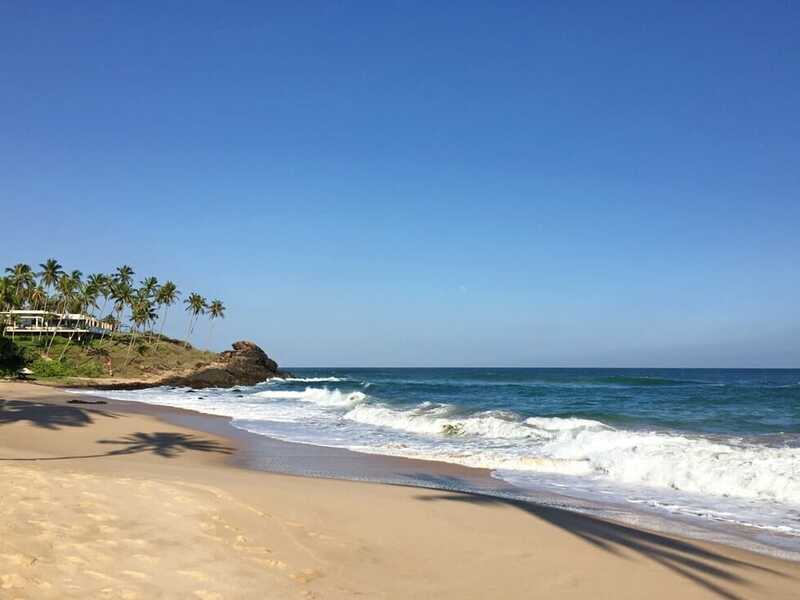 Sri Lanka is wonderfully lush and offers blissful sunshine all year round: love drinking straight out of a coconut and hanging out on pristine beaches? Sri Lanka is the perfect place to calm the soul and immerse yourself in what nature has to offer! There are rooms for every type of traveler and for every type of budget – Sri Lanka has it sorted. 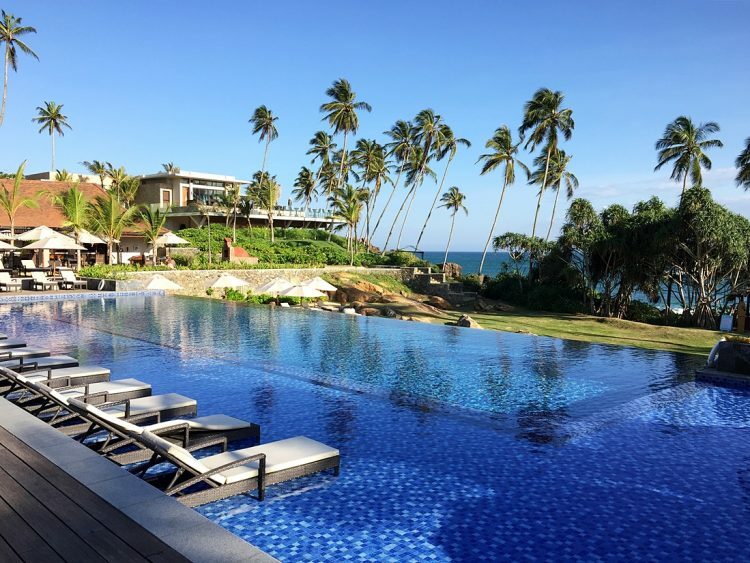 There are not only beautiful five-star hotels like the Anantara Tangalle Peace Haven Hotel, Shangri-La’s Hambantota Resort, Anantara Kalutara, Cape Weligama and The Fortress, but also boutique hotels, converted colonial houses, eco-lodges and luxury tents for “glamping” (like Madulkelle Tea & Eco Lodge) – basically, anything your heart desires. 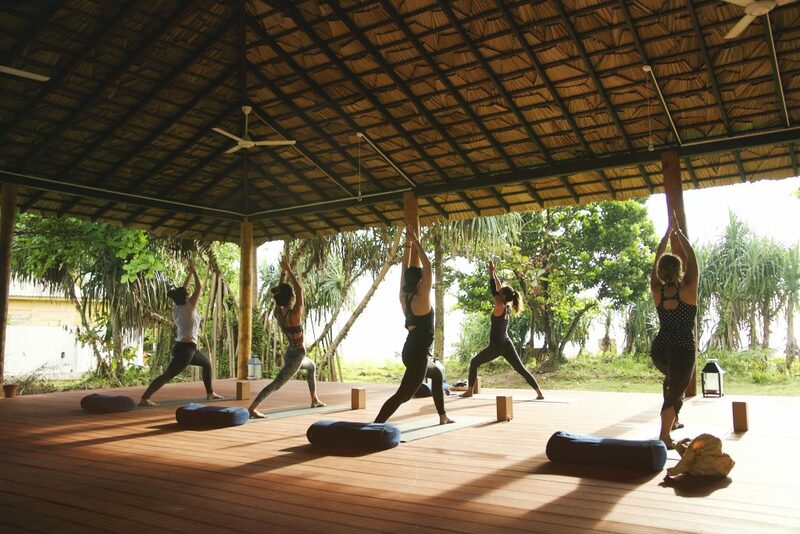 Many places offer drop-in Yoga classes and also host multi-day Yoga retreats throughout the year! Planning a trip to Sri Lanka? Click here for more accommodation options! 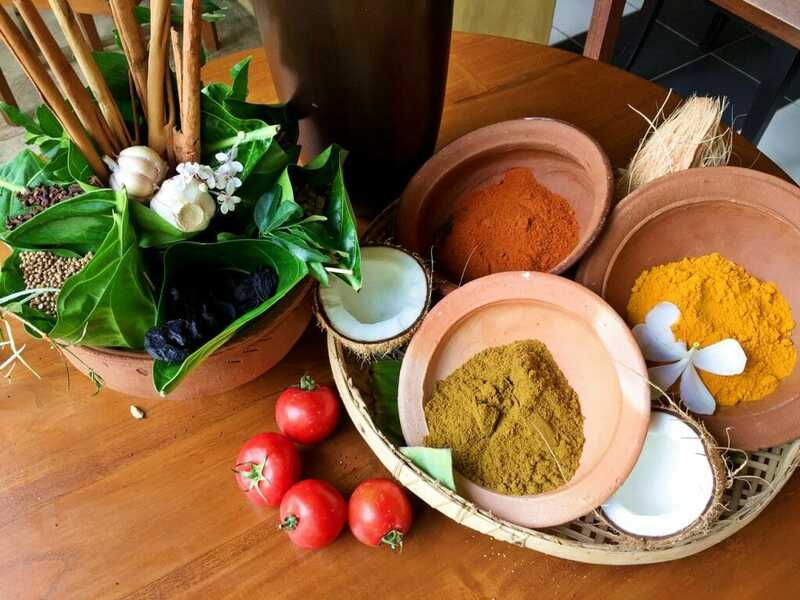 Ayurveda and Yoga are two peas in a pod and share many philosophies and practices; if you’ve always been interested in learning more about the art of Ayurveda, Sri Lanka is one of the top countries in the world to experience the ancient practice. Many therapists complete years of training to obtain a Bachelor of Ayurveda Medicine degree from university, before going on to treat patients at Ayurveda centres and clinics. 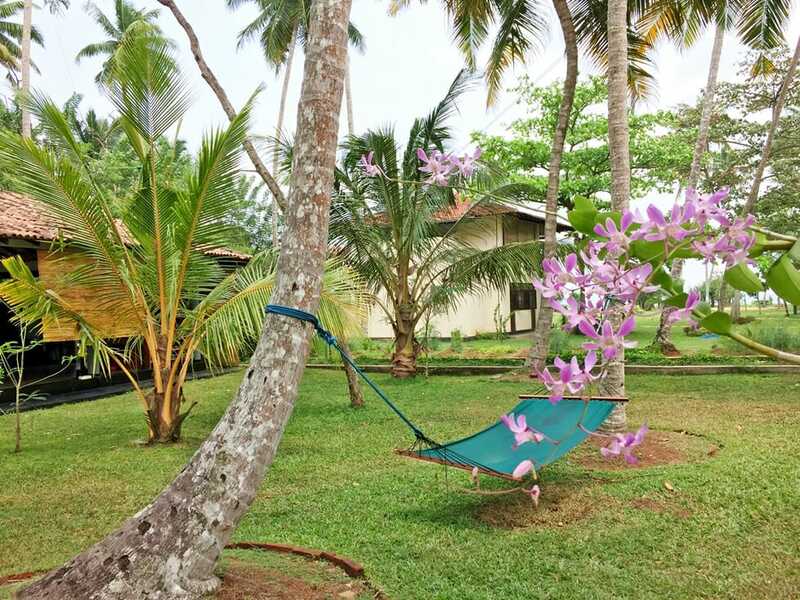 If you’re interested in learning more about Ayurveda while practicing Yoga, check out Jetwing Ayurveda Pavilions in a little seaside town called Negombo. Sri Lanka has a well-run international airport with direct flights to Colombo from a dozen countries around the world. There are also flights to Colombo from most major layover hub airports including Hong Kong, Singapore, Kuala Lumpur and Bangkok, so getting there is a piece of cake. Once you arrive in Sri lanka, in-country transportation is also cheap, reliable and safe with a sprawling train network (read on for why train travel in Sri Lanka is a must-do! 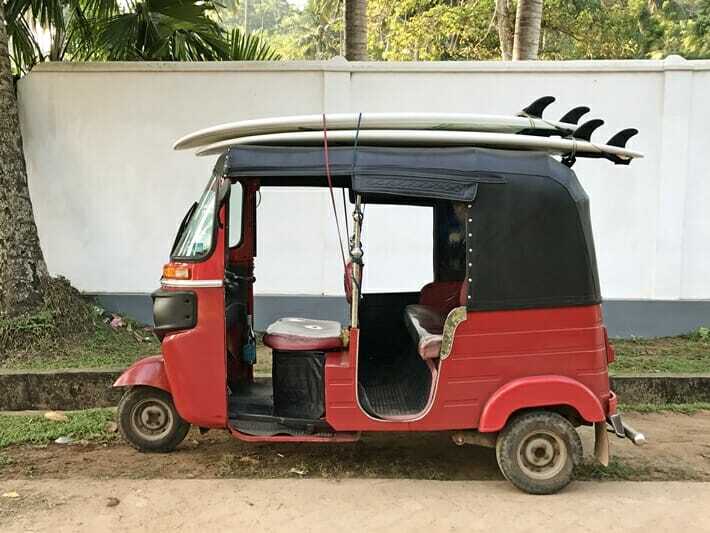 ), tuk tuks galore, brand new highways connecting cities and towns as well as a domestic air taxi services from coast to coast. Most visitors will need to apply for a visa (except for nationals of Singapore, Maldives and Seychelles) but this is easily done online for a small fee. Not convinced? Check out this post for 10 reasons why you need to visit Sri Lanka now or click here for more Sri Lanka travel tips and destination guides! Have you visited Sri Lanka before? Tell me about your experience in the comments section below! Wine and travel are great too! Hope you enjoy your time in Sri Lanka! 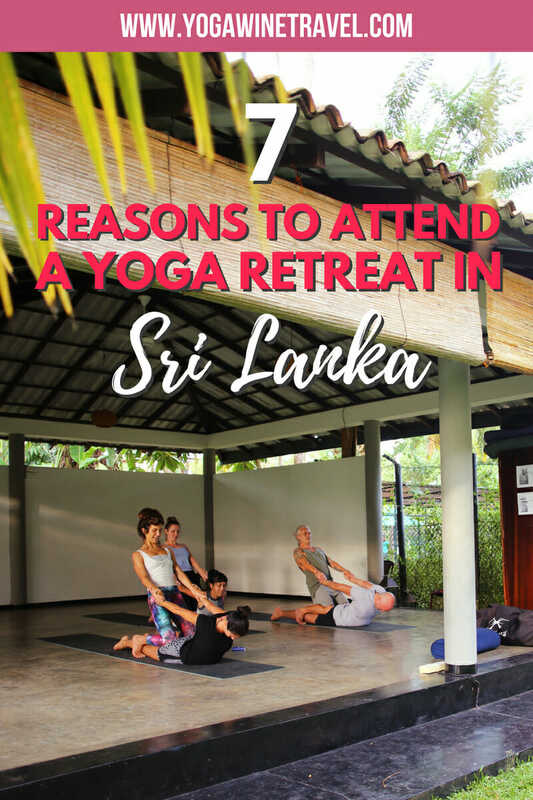 I have never been to Sri Lanka before, but when I will, I’ll definitely consider attending a yoga retreat or at least a yoga class! Sounds great, Marie! Let me know if you make it over as I have plenty of suggestions on what to do/where to go! Hello! Where do you suggest going to practise yoga daily and to possibly a yoga ttc in Sri Lanka? Thank you! Hi Marie, Talalla Retreat hosts twice daily classes. 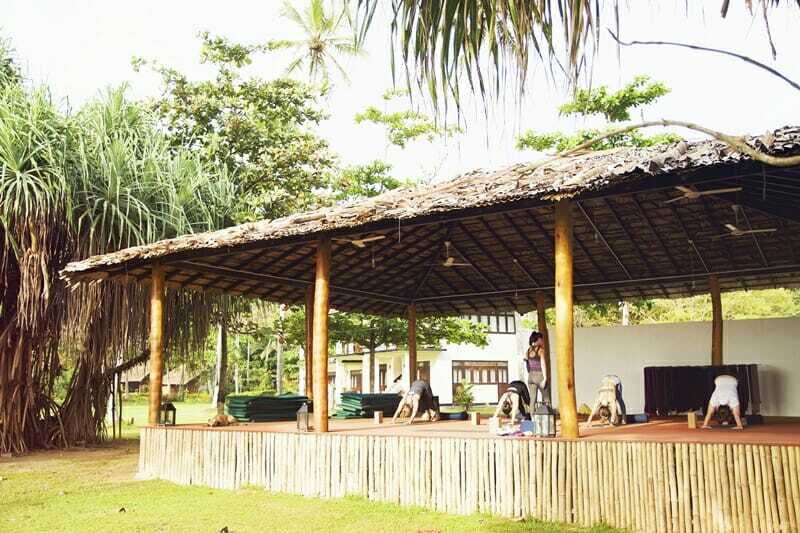 There is also a yoga shala on the southwest coast called Sri Yoga Shala that you can check out. Unfortunately I do not have any recommendations for a TTC in Sri Lanka. This sounds idyllic, my son visited Sri Lanka last year and his photo’s had us hooked, I hope we get to go one day! I’ve heard so much about Sri Lanka lately I really want to go! I bet yoga retreat would be a really relaxing way to enjoy the island. It looks so beautiful! It’s a massive island with tons of places to explore – I’d recommend doing a retreat for a few days and then heading north to tea country/Sigiriya! Ah! I wish wish wish I could join you on this yoga retreat! I’ve always wanted to go to one, and Sri Lanka also sounds like an amazing place to explore! Thanks for posting Flo! Would you recommend a residential course for a complete beginner? I can’t make yours in March ? Hey Katie! Lots of places have drop-in classes and they would be suitable for beginners. Just let the teacher know at the beginning of class that you are new to the physical practice and they should provide some guidance and modifications! Such a beautiful place, it looks so relaxing! I never thought about yoga and surfing going together before, but certainly makes sense! Great post, thanks for sharing! There are some poses that are so good for the shoulders and hip opening – both very necessary for surfing! Love this. Sri Lanka has been on my list for quite some time now – it looks like such a beautiful destination. I had no idea tourism had grown that much in recent years, cool stat to know! Such a wonderful country – let me know if you ever make it over! Thanks for checking this out, Melissa! To be honest I’m not a big person for Yoga, but this all sounds wonderfully relaxing! This was such an informative post. My friend has been wanting to visit Sri Lanka so we have been looking at airfares and they are quite high from the United States. However, we will make it there eventually. Love that you conduct the Yoga retreats and will certainly bookmark this for future reference. I have Sri Lanka at the top of my list and this seems to be the perfect opportunity to relax and also enjoy the beauty of the country! I hope you make it to Sri Lanka soon Claudia! Such a lovely write-up. We do agree Sri Lanka is getting a lot of attention of late and is bound to get very touristy. We were there in Sri Lanka in the year 2013 and had a great time at Negombo. Lovely beaches and food. It’s a great place to spend some quality time. Hope you guys make it back! The southern coast is wonderful. Sold! Sri Lanka is so tempting. Do you think a yoga retreat is a good intro to yoga for newbies? Is it worth it or should you learn at home before a special retreat? Great question! Retreats are run differently so it’s worth reaching out to the organizer ahead of time to ask if it is appropriate for beginners. The one I am hosting in March is suitable for anyone and modifications will be offered. Hope you make it to Sri Lanka soon Davide! This sounds so similar to Kerala in India. 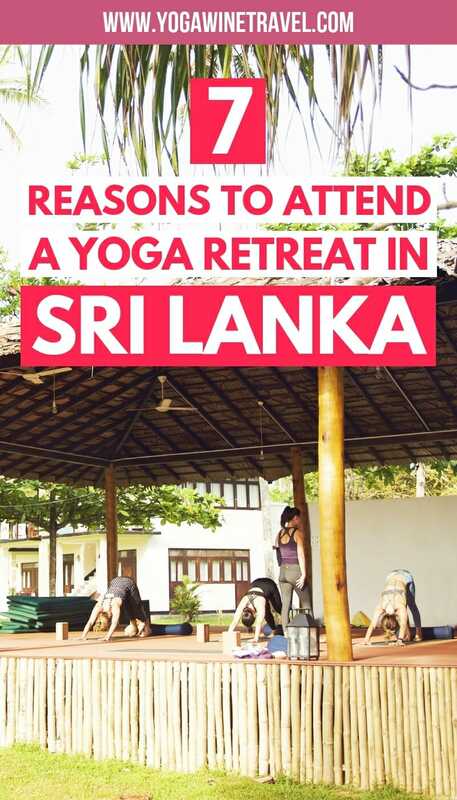 I didn’t know Sri Lanka is such a favorite for yoga retreat. I will plan one definitely when I happen to visit here. 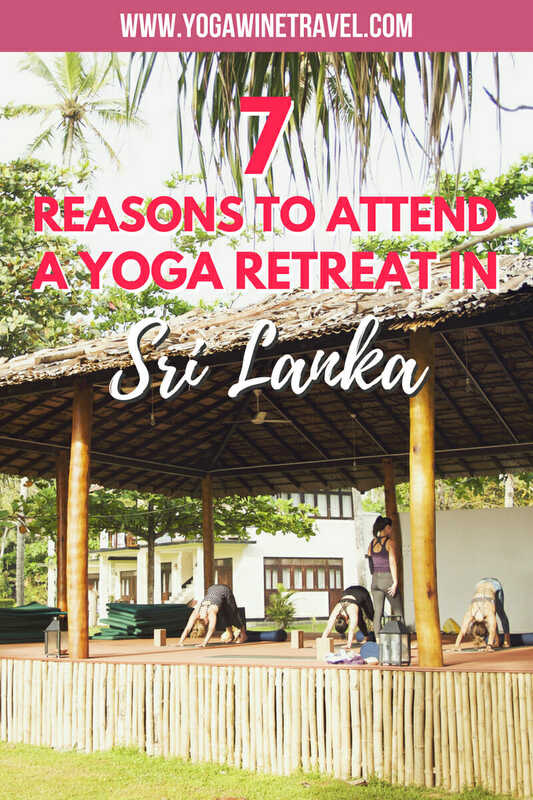 I’ve been wanting to try yoga and I’ve been thinking of traveling to Sri Lanka so I loved reading this! Let me know if you make it to Sri Lanka soon, Aubrie! really nice pictures! seems that from now Sri Lanka is added to my future travel list and yoga lesson as well! Sri Lanka looks so beautiful. I don’t really do Yoga but would love to go for the peace and serenity. There are lots of different aspects to Yoga so we all do yoga in some way! 🙂 Hope you make it to Sri Lanka soon, Mike! I really hope more people are able to join and experience the beauty of Sri Lanka! 🙂 It’s such a great Yoga/wellness/ayurveda destination – I can’t wait! I’ve been on search for a lovely yoga retreat. Sri Lanka looks like a lovely place. Thank you for your list of reasons why Sri Lanka would be a great place for it. It also seems reasonably priced too! Well, I’m sold. Only if I would not be broke at the moment, haha. Maybe something for next year then, because it sounds just perfect. What’s better than practising yoga in an awesome place. Plus learning how to surf would be great too! Hope you can join us for a retreat in the future, Sophie! 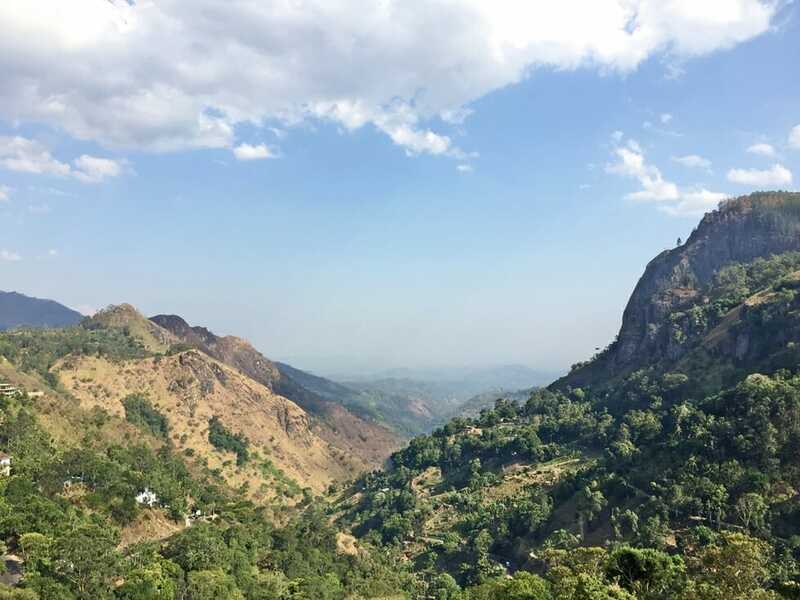 I’ve been warned about Sri Lanka as a mountain trekker that there’s not much hiking one can do. So yoga will definitely entice me as it’s part of my normal routine to keep in shape. Thanks for this tip! I’ve heard World’s End, Adam’s Peak and Ella Rock offer incredible hikes, as well as Knuckles Mountain Range! But I’m not an avid hiker haha. Hope you make it to Sri Lanka soon! Hi Britt! Yes – Talalla Retreat in the south has twice daily classes, there is also a yoga shala named Sri Yoga Shala in the region. 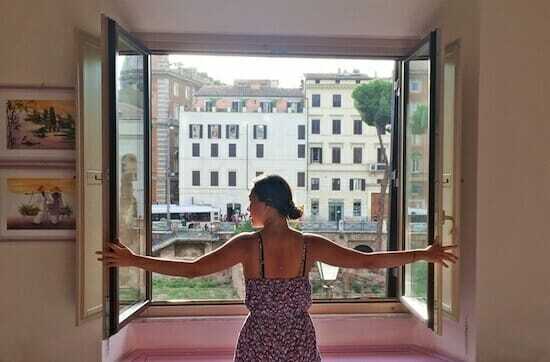 There aren’t many yoga studios but most hotels will offer yoga classes. Have a great time! Sri Lanka is a spectacular destination and an awesome place for yoga. Thanks to your post I could definitely combine two fo my favourite activities, yoga and travelling! such a nice information. Thank you for this post.